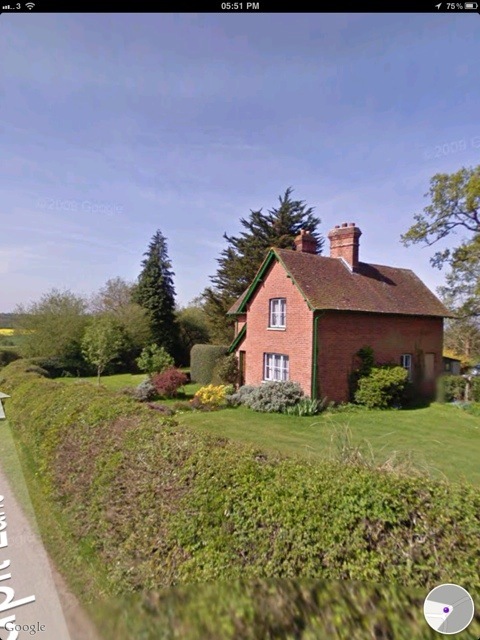 A few years ago a Victorian cottage a couple of miles away came onto the market for auction. It was a few miles away in Farley Hill on a quiet back lane, a short walk from the river. The site included a meadow and a small area of bluebell wood nearby. The cottage had a lovely typical cottage garden and a couple of outbuildings. Needless to say the predicted price was way out of our budget at £800,000 and from what I can gather from someone else who liked it and went to the auction it went for a lot more. You can see the house on Google Streetview at the corner of Sandpit Lane and Ford Lane, but since that will eventually update, I’ve grabbed a screenshot. 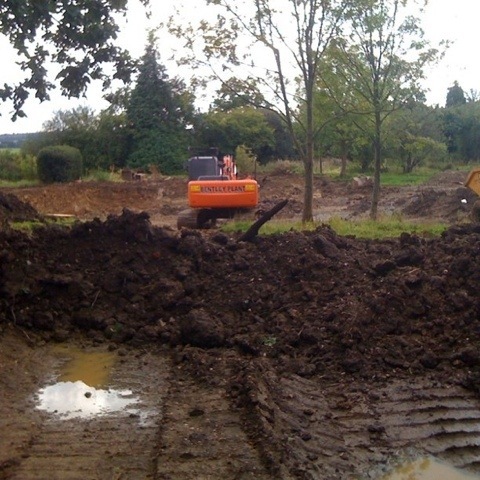 You can just about see the remains of the garden beyond the big hole and the digger. The outbuildings are gone too, replaced by new buildings built of breeze blocks. The meadow also has large piles of spoil in it and a large flat area that looks worryingly like it’s been levelled for another building. Sad really, it wasn’t a listed building or anything, but it was a really pretty cottage that had stood on the site for decades now gone.